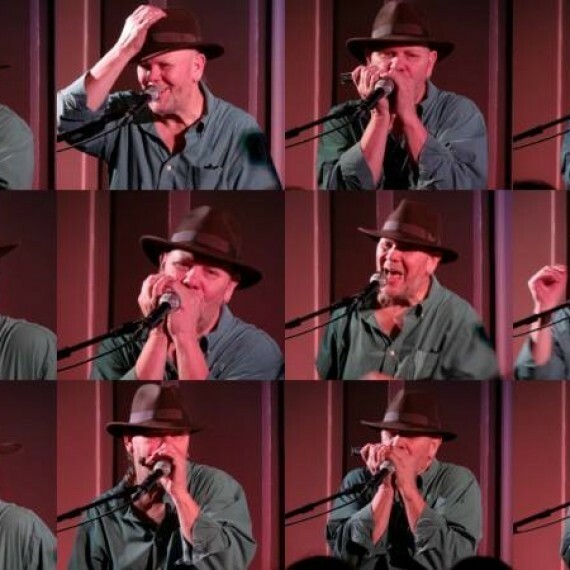 Bob Beach has been a working professional musician for more than 40 years, adding harmonica, flute and vocals to a broad scope of genres. Bob is currently available for studio and live performance work in the Philadelphia area as well as nationally. A native Philadelphian, Bob relocated to Western PA after high school. From 1976 to 1997 Bob worked in bands and other musical projects based in the city of Pittsburgh. Since returning to Philadelphia in 1997 Bob has been a vital part of the local music scene. A volunteer at the Philadelphia Folk Fest since 1998 Bob has also has also performed at the fest many times since 2002. He leads the official campfire open mic each year. As a sideman he has recorded or performed with both local and national acts such as; Ollabelle, Langhorne Slim, the Avett Brothers, Pat Wictor, Beaucoup Blue, Fruit and many more. Bob performs live with the Bob Beach Trio, Mason Porter, Lizanne Knott, Wyldlyfe, Hezekiah Jones, Spinning Leaves, the Cat’s Pajamas, Philadelphia Jug Band, the Youngers, Hoots and Hellmouth, David Jacobs-Strain, and others. David and Bob recently released “Live From the Left Coast” recorded in Eugene, Oregon. Bob also is a sound engineer at The World Café Live music venue and books artists for the Lansdowne Folk Club, Concerts at the Beach House and other events and venues in the Philadelphia area.